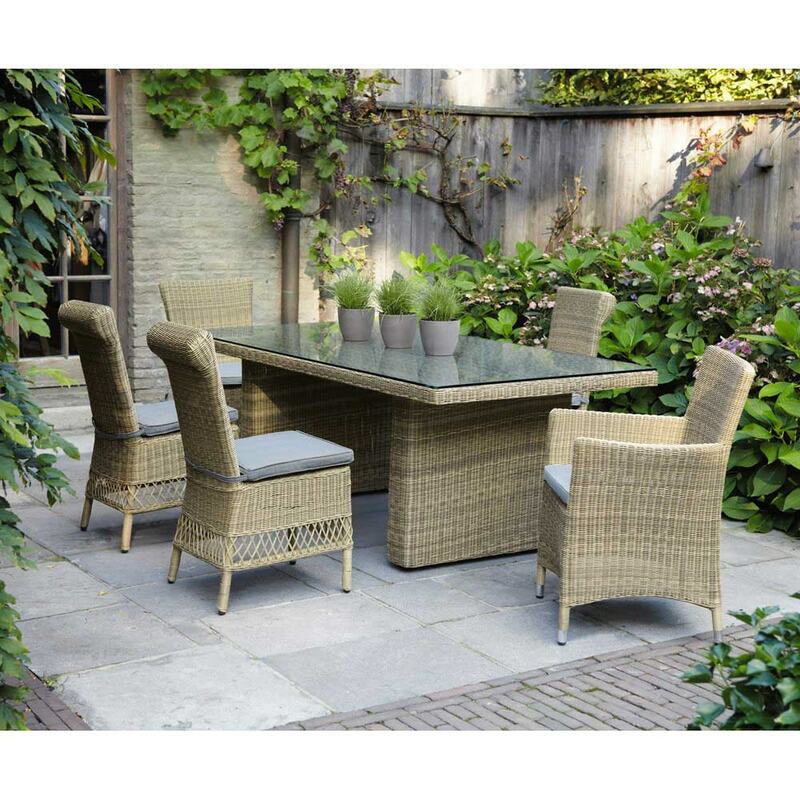 Share the fun around an outdoor dining room table all summer long. 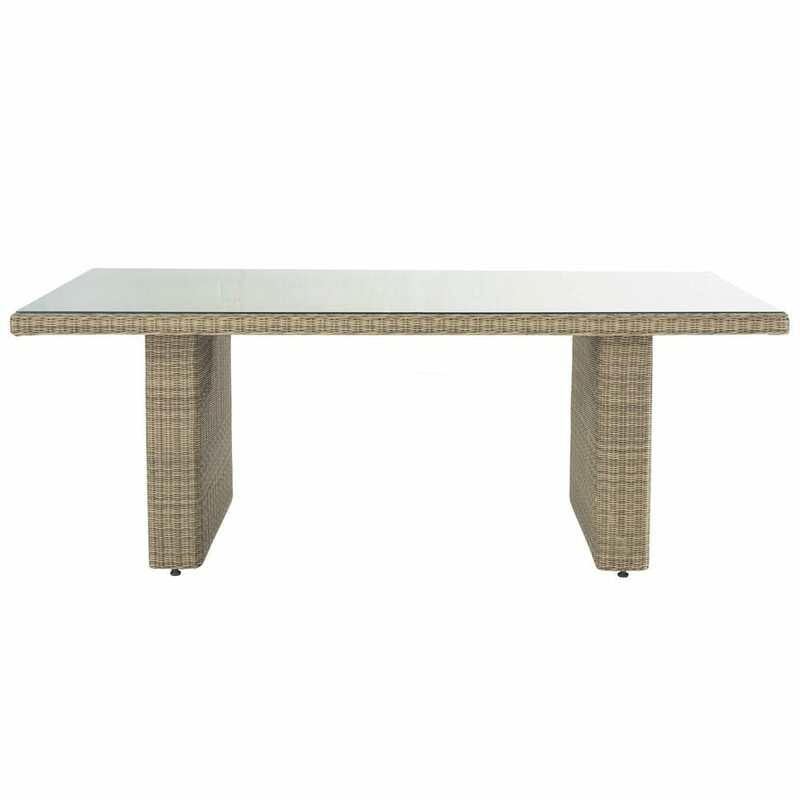 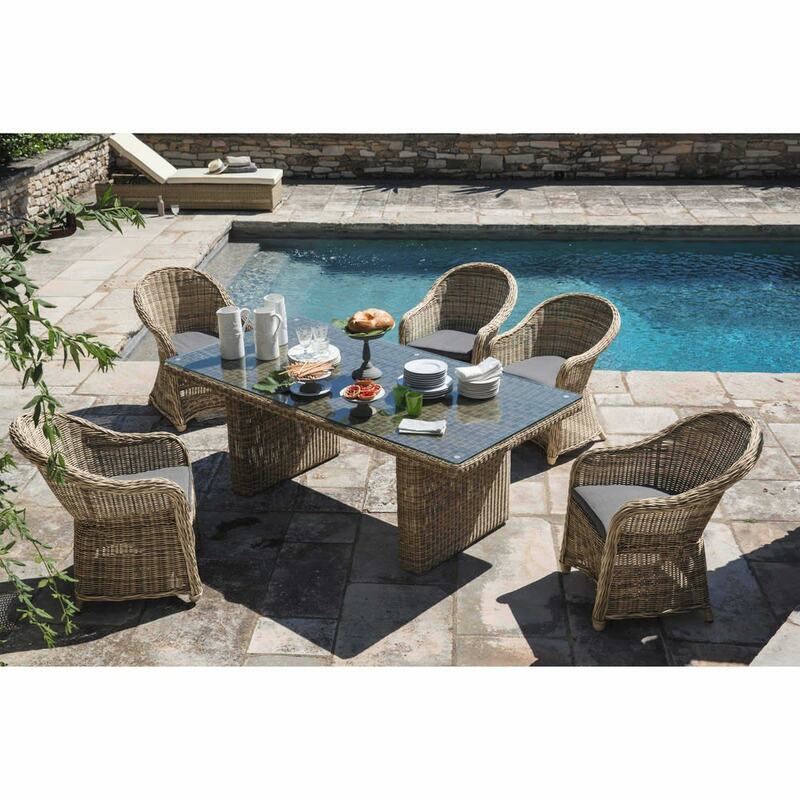 The St Raphael dining table is a rectangular table, ideal for creating a warm, welcoming atmosphere in your garden set. 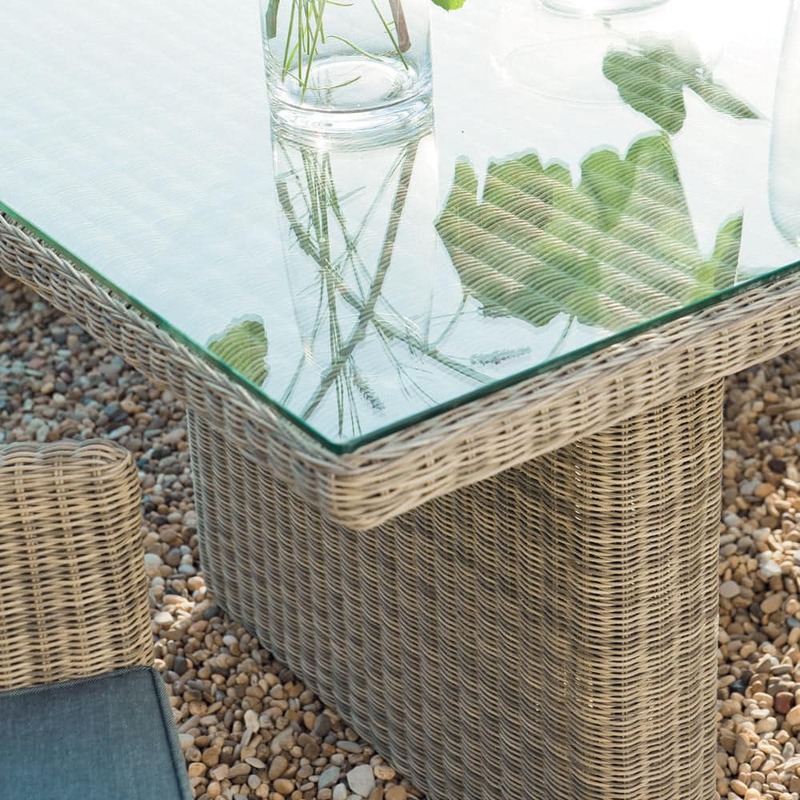 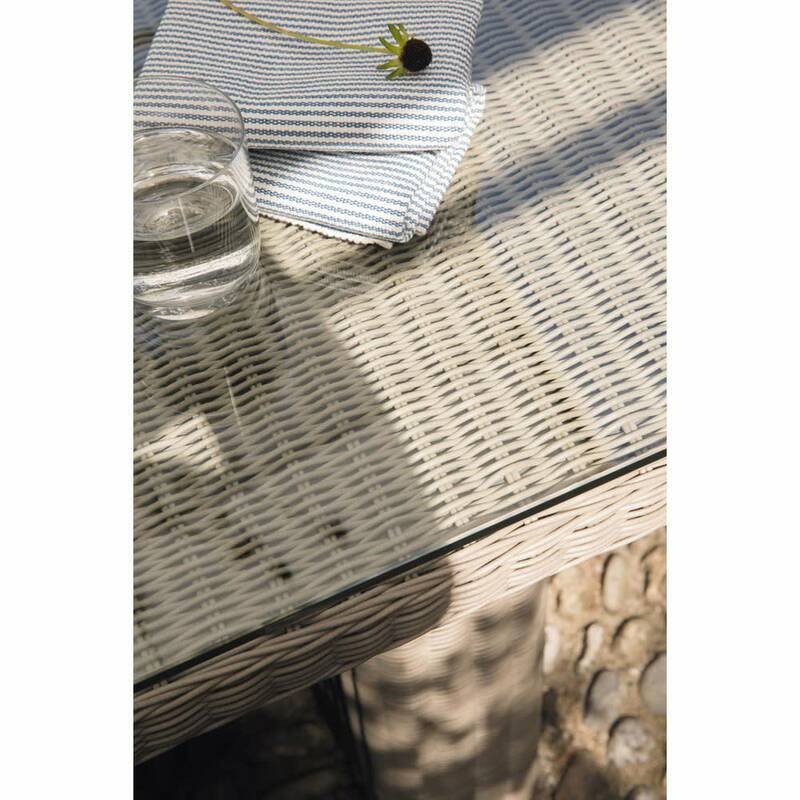 This resin table is modern and elegant with its plate-glass top and will give your patio a natural look. Around the table, add some ecru chairs or gray chairs for an even more charming effect. 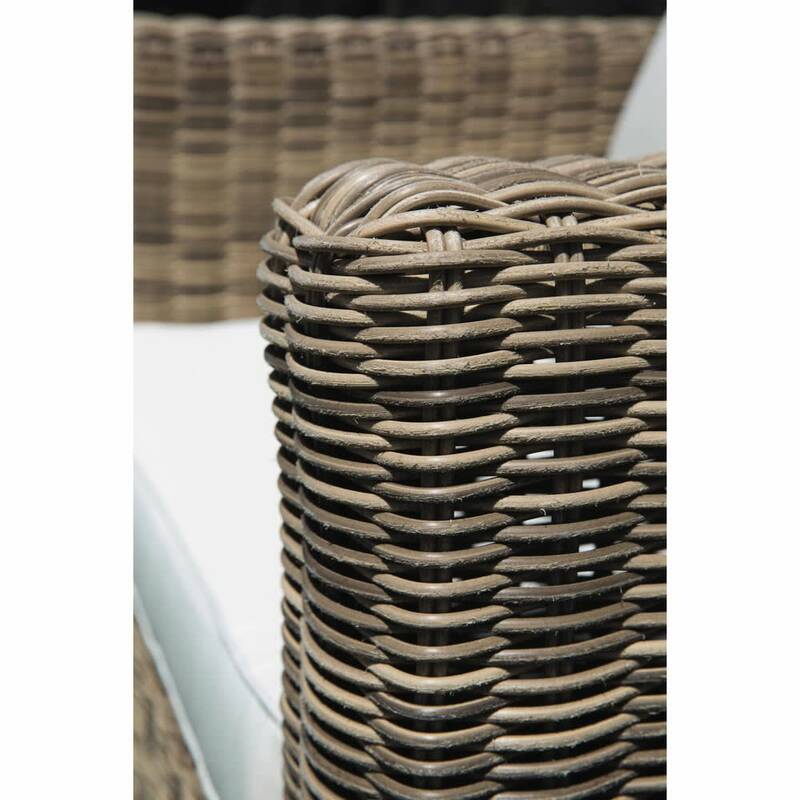 - 3 year warranty for wicker frames.